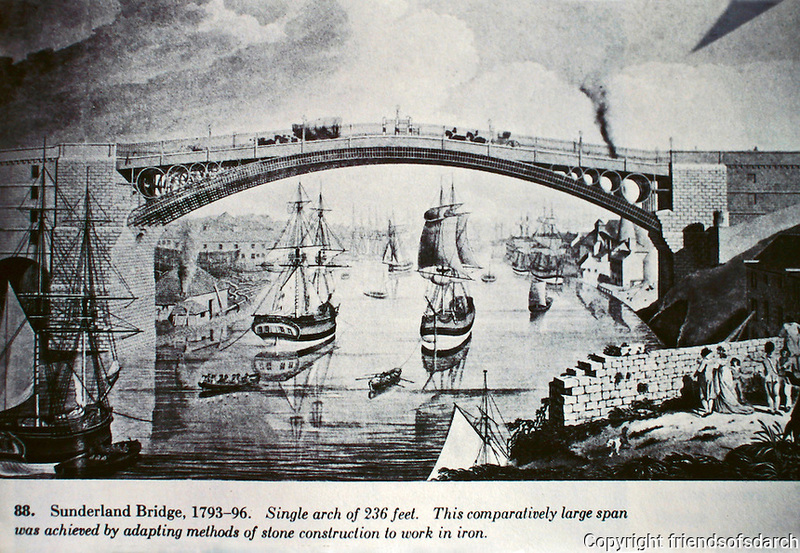 Historic photo of Sunderland Bridge, 1793-96. Single arch of 236 feet. It is located in County Durham, England.